"Spearheading the field, it is no surprise that Geraint Thomas ([5.70]) and Chris Froome ([3.60]) are favourites to take the stage. They've been the best climbers in the race so far and there is the tantalising prospect that they choose to team time-trial it from the start..."
It's the one everyone has been waiting for. 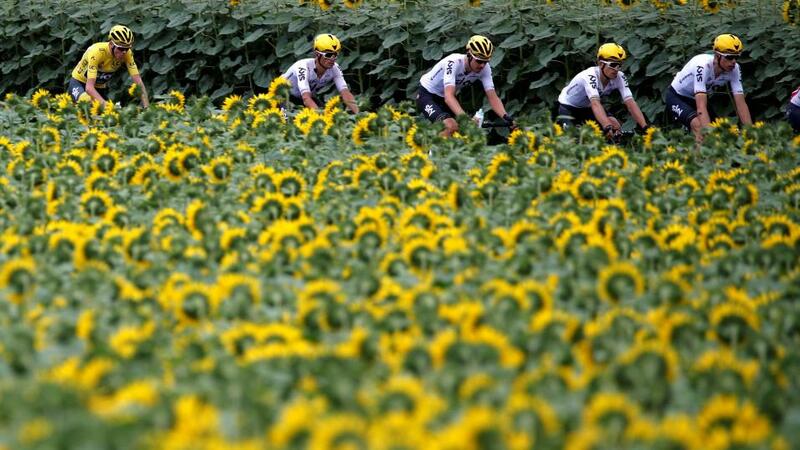 When the route for this year's Tour de France was announced last October, this was the stage that had riders and fans exhaling air through pursed lips like aging thoroughbreds, shaking their heads with the sheer ridiculousness of it all. With good reason. At only 65km, it is one of the shortest non time-trial stages ever to grace the race. In that short distance, riders ascend three categorised climbs (they spend more than half the distance on the uphill), including the super-categorised hair-pinned final climb up the Col du Portet. In a further twist - and with a nod to cyclo-cross - riders will be lined up in a grid formation, according to their place in the General Classification - so at the point of the arrow will sit Geraint Thomas and Chris Froome, with the rest of the peloton behind them. The idea behind this grid system - aside from organisers wanting to swan around at the start like they were wooing billionaires at an F1 grand prix - is that it isolates high-profile riders from their domestiques, meaning that were one of them to want to launch an early attack, rivals would face a decision: go head-to-head, or wait for team-mates to do the chasing? Hopefully the stage will be as explosive as anticipated. Spearheading the field, it is no surprise that Geraint Thomas ([5.70]) and Chris Froome ([3.60]) are favourites to take the stage. They've been the best climbers in the race so far and there is the tantalising prospect that they choose to team time-trial it from the start, especially if Egan Bernal and Michal Kwiatkowski - who will both be placed relatively close to the front given their place in the overall standings - can ride hard in the opening kilometres to join them. Maybe they're too mature and wise for such a tactic, though, and will instead sit with Tom Dumoulin and let him make the big decisions, looking to strike later. Whichever approach they take - ultra-attacking, ultra-defensive, or some mixture of the two - they are still the most likely stage winners, and for reasons outlined yesterday, Froome looks the bet to me. Tom Dumoulin ([15.00]) is an obvious outside choice given that he is running out of opportunities to take time on the Team Sky pair. This stage will suit him better than the last mountain sojourn on Stage 19, and whilst he is the best time-trial rider in the world, the lumps and bumps of Stage 20 mean he is unlikely to have any significant advantage over Froome on the clock there, and might even find himself losing time. But whilst this might be as good an opportunity as any, whether he has the legs is a different matter. Warren Barguil ([30.00]) outsprinted Nairo Quintana ([18.00]) and Mikel Landa ([16.00]) on the short stage into Foix at last year's Tour (Alberto Contador was there, too, but has subsequently retired), and so the trio will naturally attract punting interest for a repeat here. However, although short, that stage was very different to the test riders face here - it had a long downhill finish, for one thing - so I won't be overplaying the comparisons. Better outside bets might come in the shape of Ilnur Zakarin ([40.00]) and Primoz Roglic ([16.00]), both of whom have the capability to time trial uphill, which is likely to give them an advantage here. Having said that, the last test which favoured that skill-set - Stage 11 earlier in this Tour - saw Thomas, Dumoulin and Froome fill the podium. The likelihood is that some combination of that trio will do the same here, and my money's on Froome to stand on the top spot. It will be pivotal in deciding the Yellow Jersey, and if you only watch one stage live in this year's Tour, make it this one. The whole thing will be over in not much more than two hours.